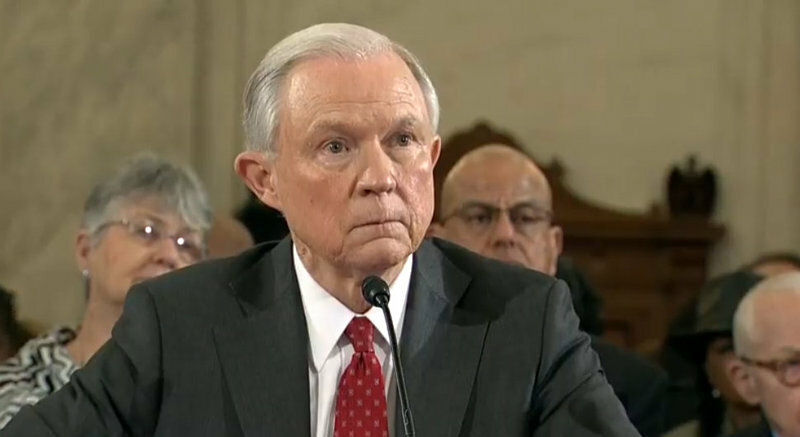 Alabama Republican Senator Jeff Sessions, who was on Capitol Hill on Tuesday for a Senate confirmation hearing for his attorney general appointment, was asked explicitly about real-money online gaming in America. South Carolina Senator Lindsey Graham, also a Republican, asked Sessions what he thought about the 2011 Department of Justice re-interpretation of the Wire Act that allowed for states to legalize and regulate poker and other casino games for the web. Sessions said he was “shocked” by the Obama DoJ’s reading of the law. Graham is an opponent of online gaming. The prohibition efforts are backed by billionaire casino boss Sheldon Adelson, who thinks online casino gaming hurts his brick-and-mortar casino business. Some of his rivals have ventured into the online casino space. Adelson, a major Republican donor, pledged to spend “whatever it takes” to stop regulated online gaming. Those efforts have mostly come in the form of federal legislative attempts, but Sessions’ DoJ could take action against internet gaming without Congress. Currently, only Nevada, New Jersey and Delaware have regulated online casinos, while a handful of other states have internet lottery gambling. Massachusetts, California, New York and Pennsylvania are all seriously considering internet casinos. If Sessions’ DoJ ever moves to end the regulated online gaming already happening, it would likely be met with lawsuits and lengthy court battles. How do you make America Great Again without online poker? Every other country allows it except the "land of the free." You can't allow Fantasy Football without being a hypocrite in shutting down online poker. Those that can't grasp online poker as a game of skill aren't qualified to lead. No excuse. No confidence in judgement. Sessions is a bigly disappointment in this matter.